The big game this week is Manchester City v. Chelsea. Mike Dean will officiate that one. He’s near the top of the charts on yellow cards, and only Andre Marriner and Martin Atkinson have handed out more red cards. It’ll be interesting to see how he handles these two teams of prima donnas footballers. 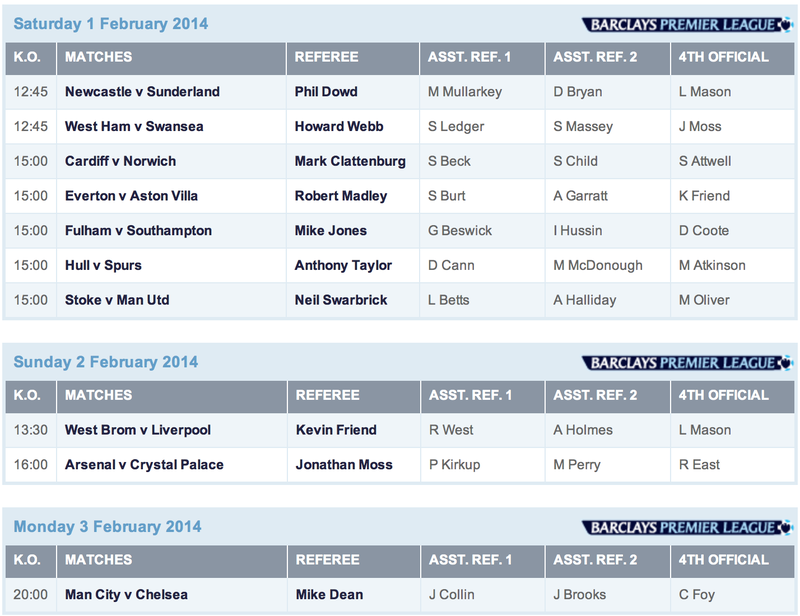 Clattenburg himself is in Wales for the Cardiff v. Norwich match, and Howard Webb is overseeing West Ham v. Swansea.